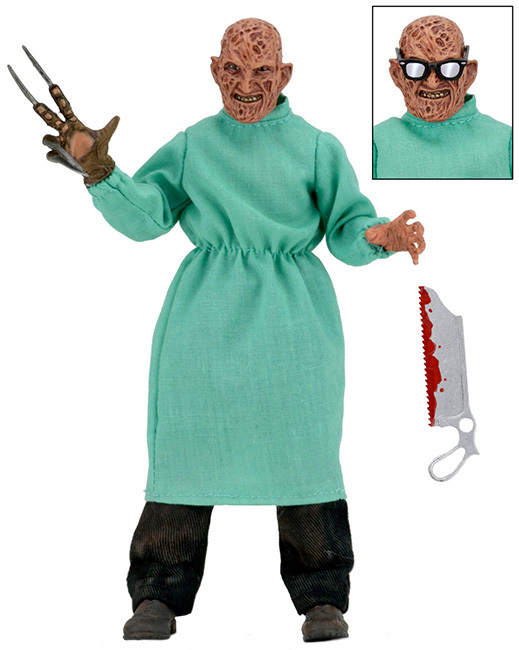 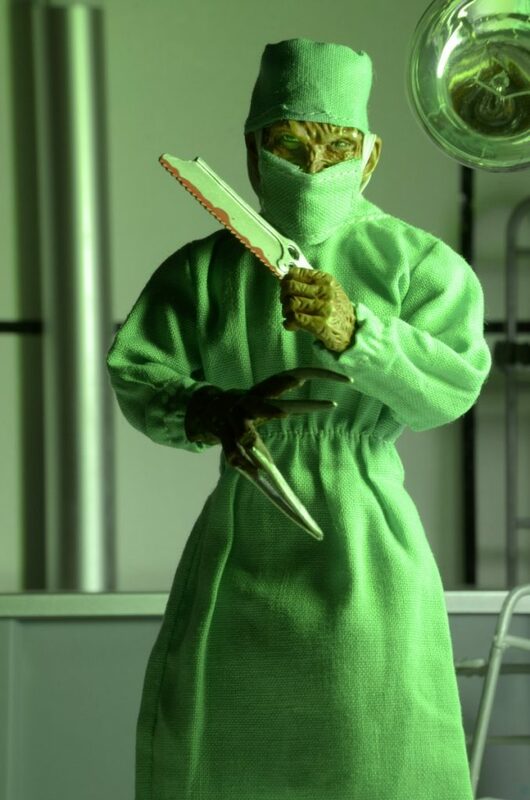 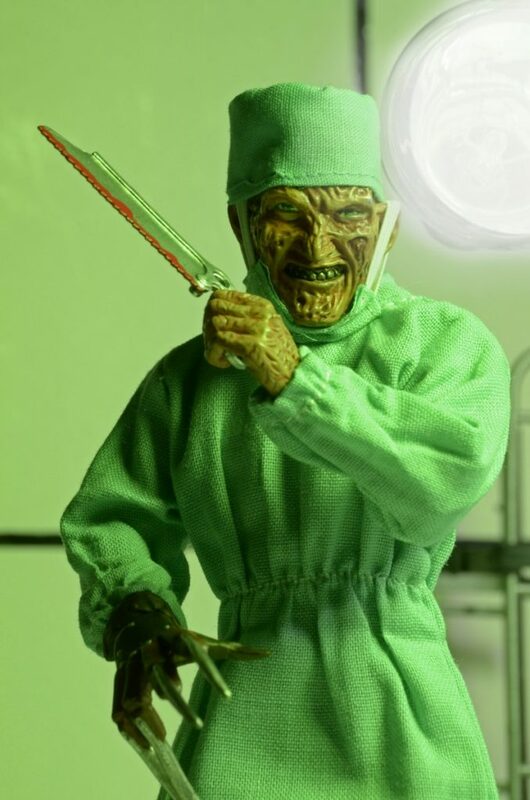 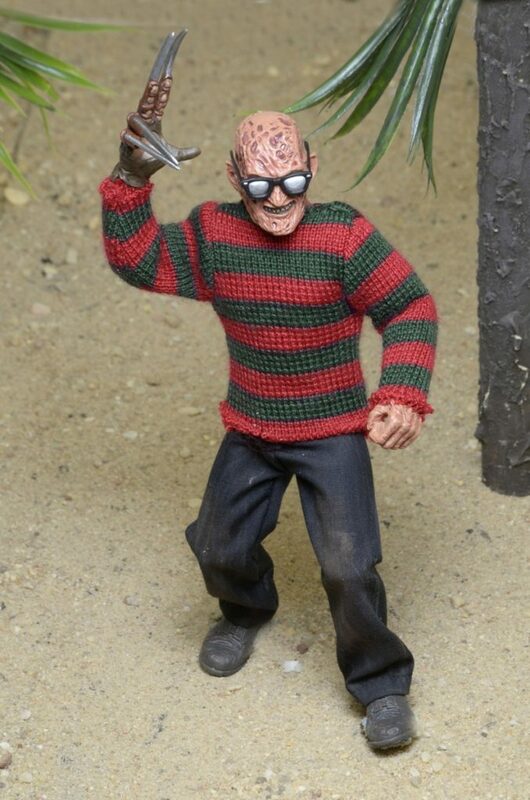 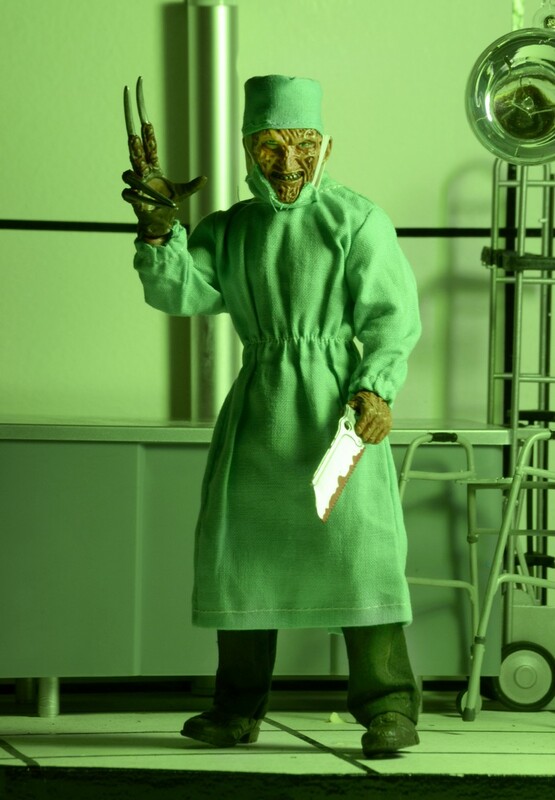 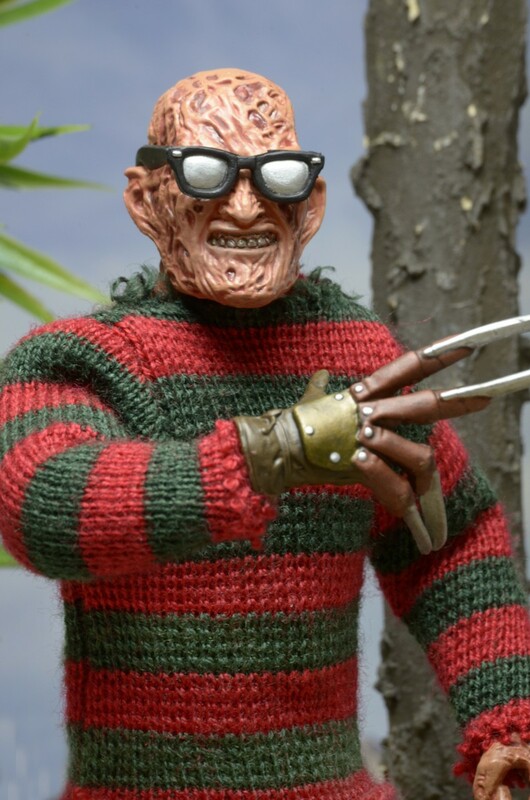 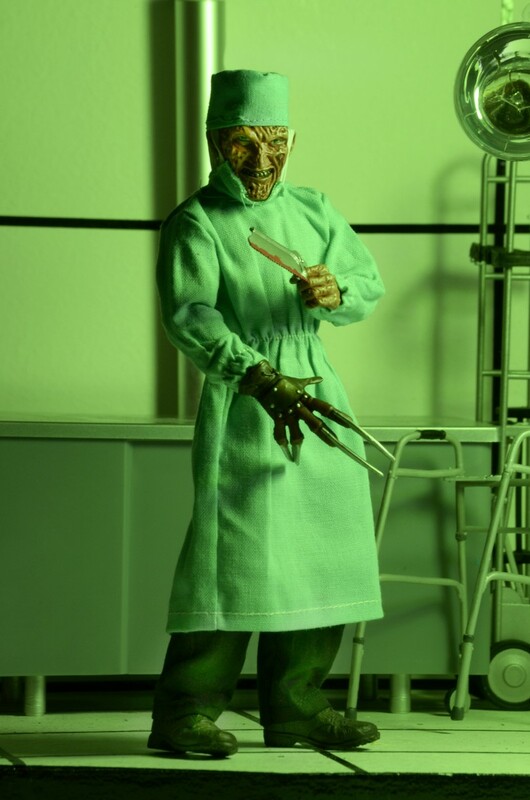 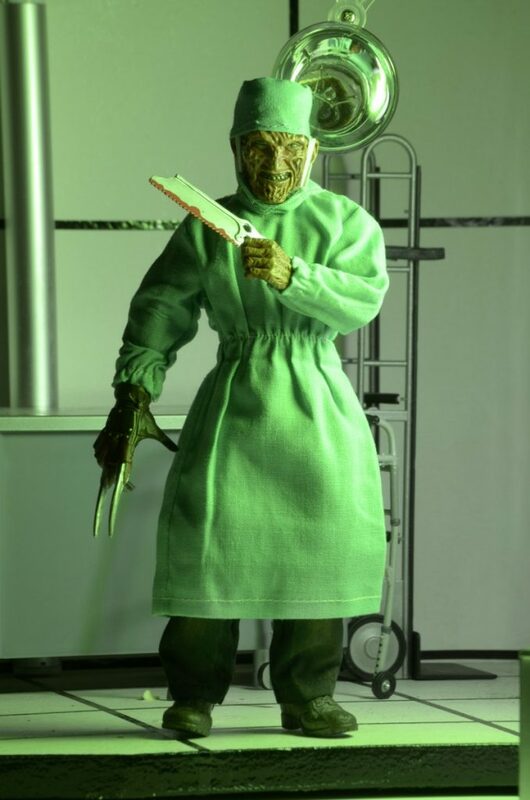 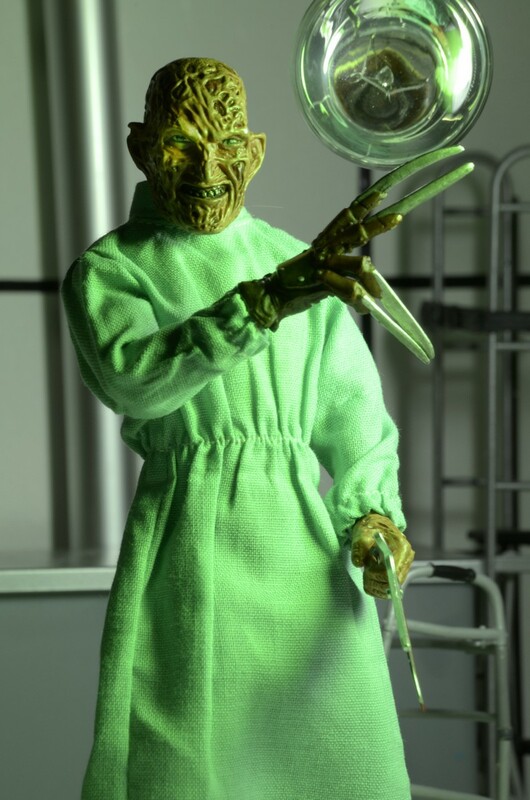 From Nightmare on Elm Street Part 4: Dream Masters, Surgeon Freddy joins our retro clothed action figure line. 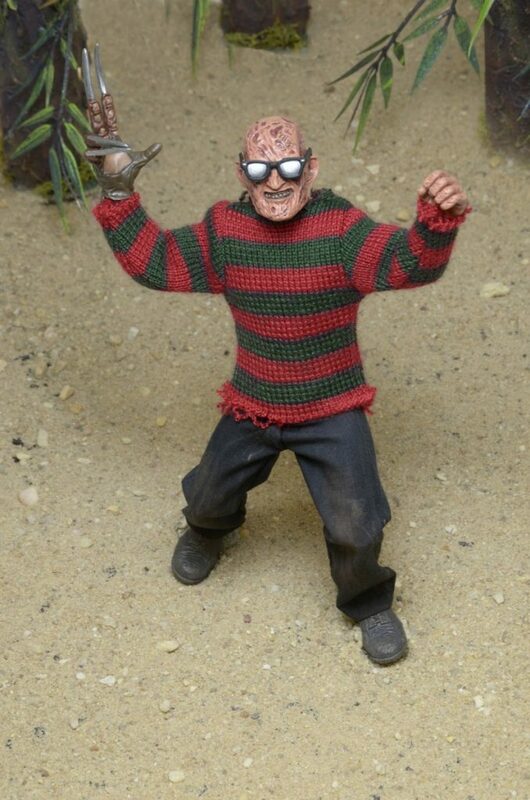 He stands 8” tall and is dressed in intricately detailed and tailored fabric clothing similar to the iconic toy lines of the 1970s. 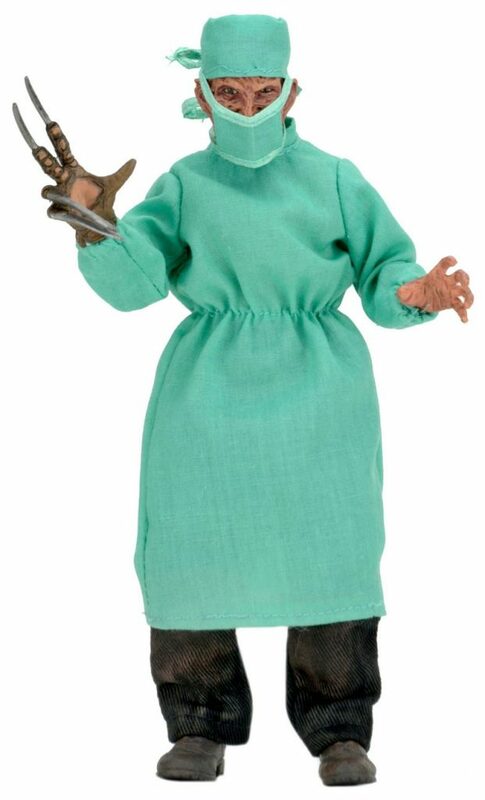 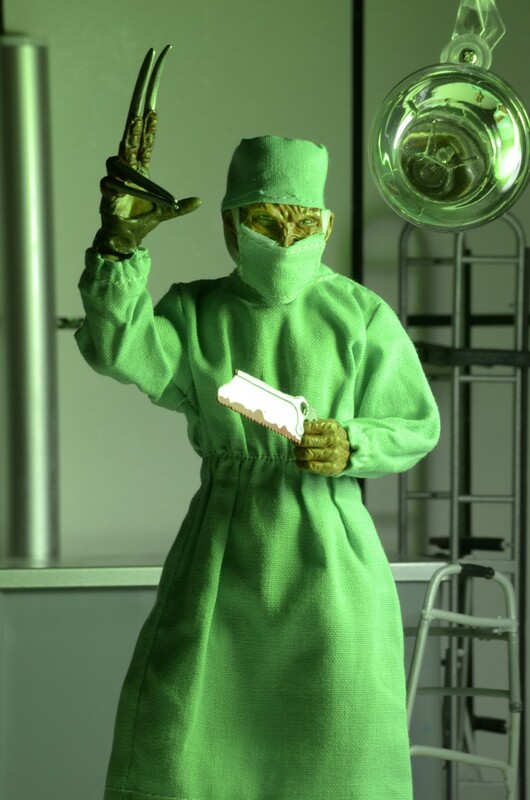 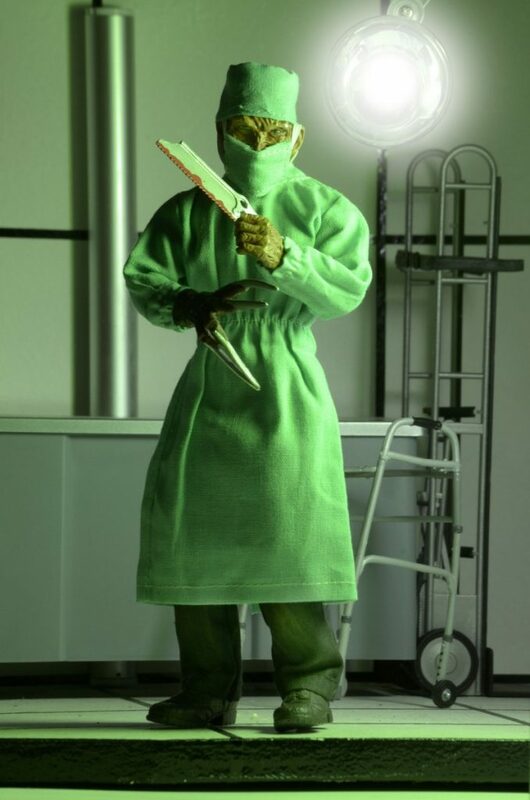 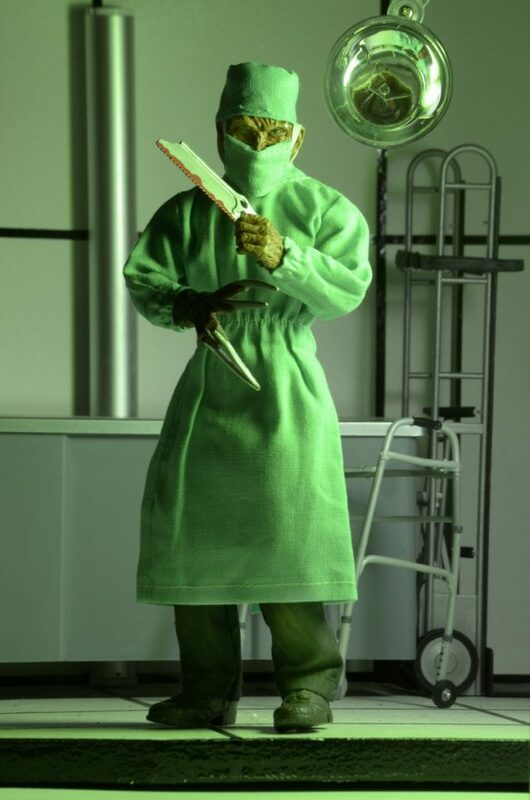 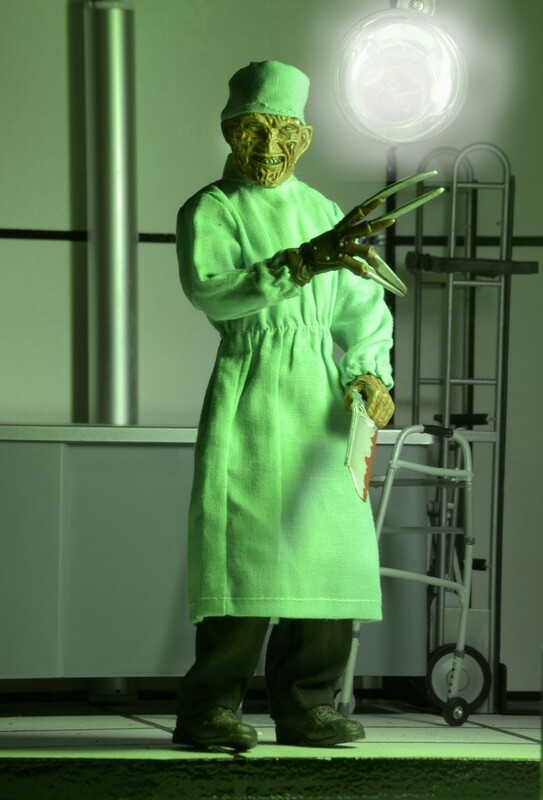 In addition to his fabric clothing, Surgeon Freddy also wears removable surgical scrubs, mask and hat. He’s fully poseable and comes complete with sunglasses and bone saw accessories. 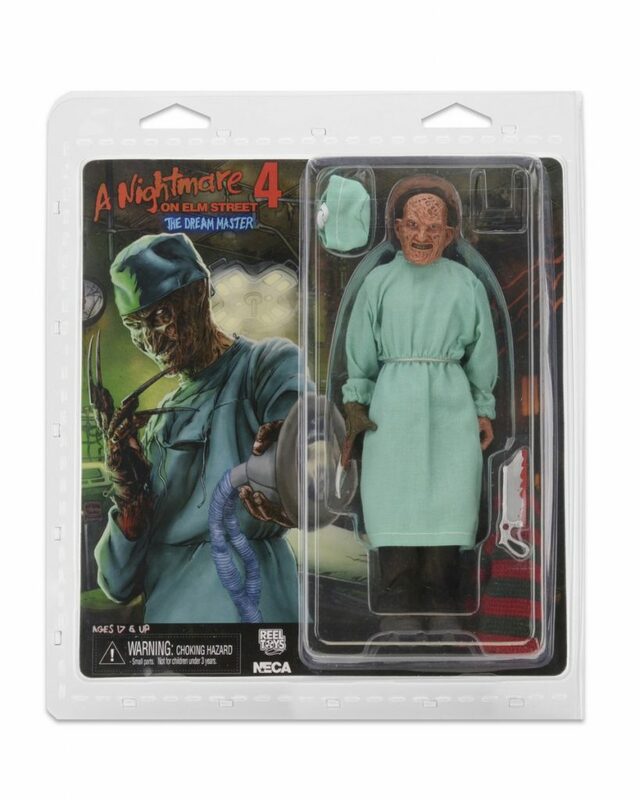 Blister packaging with resealable protective clamshell features new custom artwork created by illustrator Nathan Thomas Milliner just for this release!